Renorrhaphy is the most common reconstructive technique. 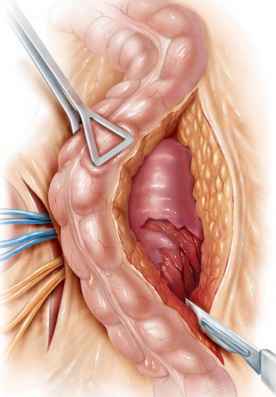 Partial nephrectomy is required when nonviable tissue is detected. Watertight closure of the collecting system if open maybe desirable, although some experts merely close the parenchyma over the injured collecting system with good results. If renal capsule is not preserved, an omental pedicle flap or perirenal fat bolster may be used for coverage (McAninch et al. 1990). In a review by Shekarriz et al., the use of fibrin sealant in traumatic renal reconstruction proved to be helpful (Shekarriz et al. 2002). Newly developed hema-static agents, which have proven useful in open and laparoscopic partial nephrectomy(Richter et al. 2003), may also be helpful but are largely unproven. 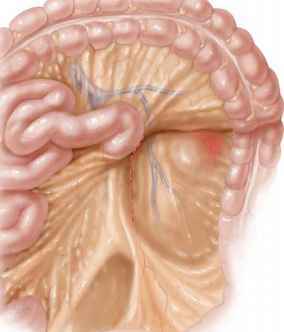 In all cases, drainage of the ipsilateral retroperitoneum is recommended to provide an outlet for any temporary urinary leak. Renal wrapping with absorbable mesh is valuable in organ preservation in cases of multiple lacerations (Kluger et al. 1999). All penetrating injuries are explored via a transabdominal approach for preserving the kidney if feasible, exploring the contralateral kidney, and controlling other abdominal injuries, since in many cases preoperative evaluation is insufficient (Kuvezdic et al. 1996). 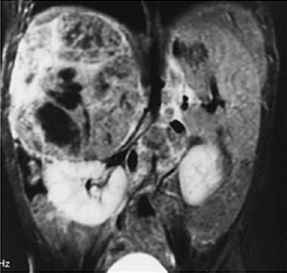 Patients with hematuria undergoing an exploration following a gunshot wound should be evaluated for the entire urinary tract. The kidney should be explored by opening Gerota's fascia in the presence of active bleeding, an expanding perirenal hematoma, or urine leak. Inspection of the hilum and proximal ureter but no incision of Ge-rota's fascia is mandatory in stable hematomas. Hilar control is achieved prior to renal exploration only in hemodynamically stable patients; otherwise the kidney should be immediately delivered to the laparotomy wound and active hemorrhage be controlled by manual compression. In cases of uncertainty on the adequacy of the urinary tract exploration, intravenous dye (methylene blue or indigo carmine) should be administered to unmask suspected injuries (Velmahos and De-giannis 1997).